Anderson's Tips: Cutting an uprooted tree can result in the tree springing back up to its original position and has killed people. Cutting an uprooted tree can result in the tree springing back up to its original position and has killed people. I just saw a post of a tree uprooting and falling from the hurricane and wanted to share how hazardous it can be attempting to cut up the tree on your own. The rootball acts as a huge counterweight and once enough weight is cut away from the tree many times the tree will spring back to upright. That act has hit people cutting the tree and in a few cases has crushed kids playing under the root ball. Story here. Here is a video of it happening. Jump the to 1 min mark. 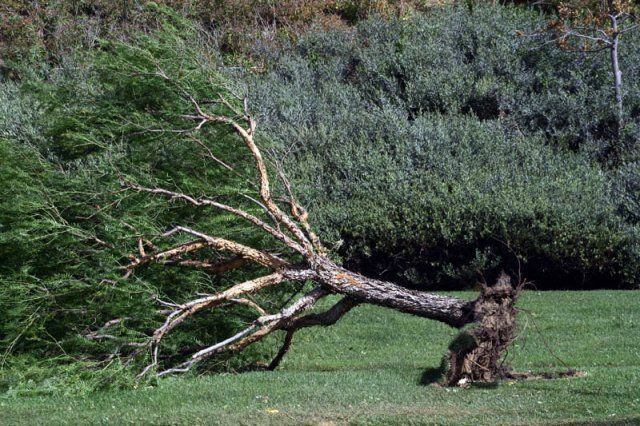 The post Cutting an uprooted tree can result in the tree springing back up to its original position and has killed people. appeared first on Anderson's Tips.